You’re locked in a room and have 60 minutes to find the clues that lead to the key that can get you out: that’s Escape Hunt Bangkok. We decided to go left-field today and visit Bangkok’s latest activity. So after a very leisurely breakfast we set out to navigate the local train system. At first we were wildly impressed at how easy it was to use, it’s clean, the instructions are clear and you always know where you are. That said, our return trip changed our view when we couldn’t buy tickets at the ticket office. They would only give us, and everyone else, a pile of small change and point to the ticket machines. The change was all small-denomination and took an age to add up to the ticket price, much to the annoyance of all involved. Anyway, we easily navigated to the office block that houses Escape Hunt in its basement; and, after a briefing by one of the amusingly tweed-mini-skirted hostesses, were duly locked in a room and set out to solve the mystery. 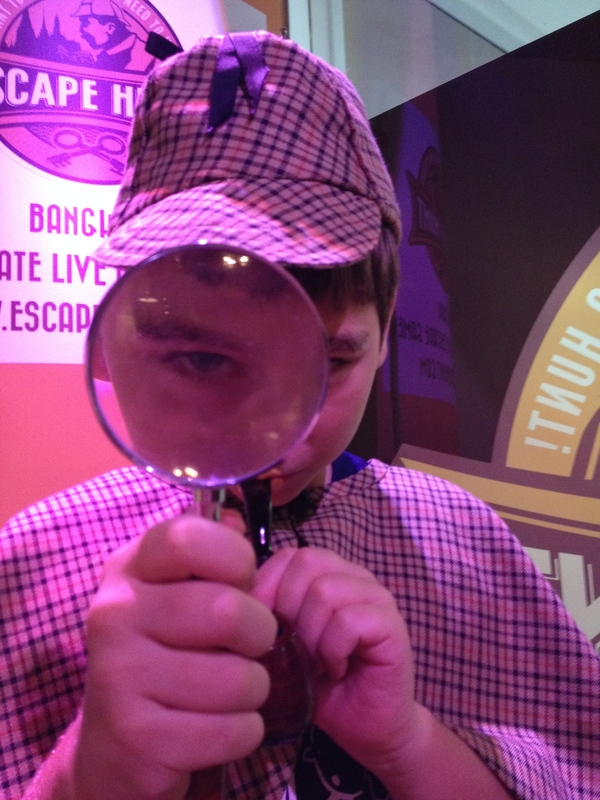 Dealing with the mystery involved a great combination of clue solving, maths and intuitive searching – it was all tremendous fun. With the clock counting down to add tension, it really felt like you were up against a challenge. We did make it out of the room and missed out, by a whisker, making the top 20 best times ever.